Last week Jillian was telling me a story about a girl in her class. I asked her what her name was. She had no idea. You know what she did know? What kind of shoes she was wearing. She described every detail about them. I guess the shoe obsession begins young. 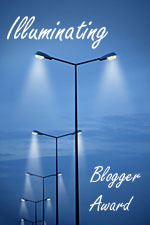 I'm so excited to receive the Illuminating Blogger Award from Dana at This Silly Girl's Life blog. This Illuminating Blogger Award is awarded to bloggers for illuminating and informative blog content. Thank you, Dana! To read more about the award you can click here. Listening to Myles read the books that he made at school to us. Tomorrow is Jillian's half-birthday. We are equipped with pink cake ingredients. Looking forward to the half-celebration. Krave cereal. Seriously, they are like little pillows of chocolaty goodness. Too bad I know about them now. I've never even taken the time to add milk. A handful of them and I am a happy girl. Myles and his thumbs up and wink that he gives me when he is happy. So cute. 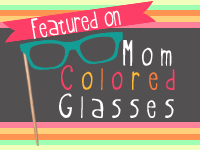 Last, but certainly not least, I have another post at Mom Colored Glasses today! Check it out here. Changing Myles's sheets since he has had a loft bed. Seriously, I don't think it could be any harder. I think I'll just skip it for a while...or longer. The misty rain spitting from the sky today. Have you ever seen my hair when it is raining? It's incredible. It grows to a huge ball of frizz. It was warm though! The mom guilt I am feeling for not having pumpkins on our porch yet (or even purchased).